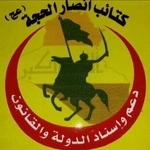 Kata'ib Ansar al-Hijja, also known as 'Liwa Ansar al-Hijja', ('The Battalions/Brigade of the Supporters/Partisans of al-Hijja', with al-Hijja being a reference to the Imam Mehdi in Shi'a Islam), is a Shi'a militia led by one Sheikh Muhammad al-Kinani. 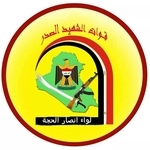 Some claimed areas of operation include Salah ad-Din and Anbar provinces. 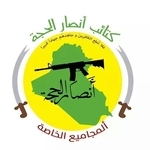 The group also includes itself as part of a larger 'Quwat al-Shaheed al-Sadr' ('Martyr Sadr Forces': in reference to Ayatollah Muhammad Baqir al-Sadr) movement that should not be confused with Da'wah Party Tanẓim al-Iraq's armed wing. 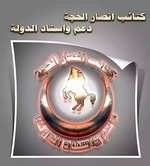 Politically, Kata'ib Ansar al-Hijja initially seemed supportive of Hayder al-Abadi but the group's leader has met with a wide variety of actors including the leader of Iranian proxy Saraya al-Khorasani. There also appear to be some links ex-PM Nouri al-Maliki, who has sought to undermine Abadi.